This came to me over the wire yesterday that prompted a look at. If you want to see a full collage of Bigfoot costumes doing things in the forest, this appears to be the place to go. 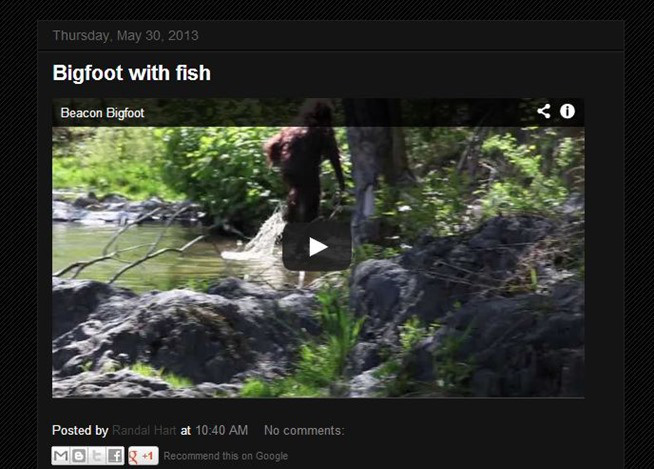 "Randal Heart" Owner of Beacon Bigfoot. It clearly states her husband took the video. 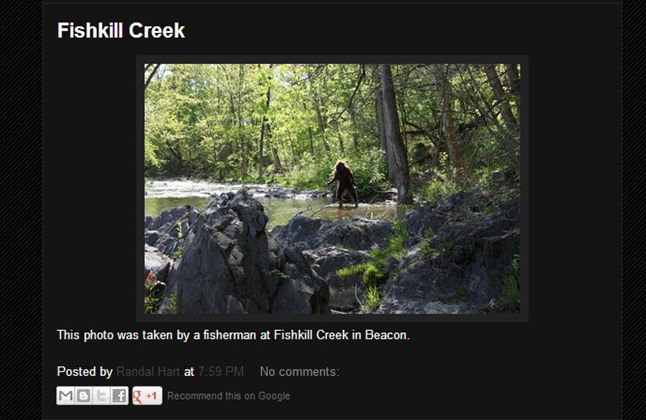 The video being posted on May 7th, 2013, however the day before, on May 6th, 2013 a picture with a frame separate from any of the frames in the video was posted on the Beacon Bigfoot blog. Again, the frame on the picture cannot be found in the video. On May 30th, we again see the film revived with this description on the blog. Of course other submissions to the site are equally as bad, with of course one video YouTube accounts and the like, all taken of course in the Beacon, NY area. This is a no brainer, a hoaxer with a costume or costumes, a little bit of Photoshop flair in some of them, to make us believe that they are running a sensational site.